Parents devote their time to their child. Every milestone makes them happy and one big milestone is when your little one takes his first step. Once your baby has learned to stand, either by holding a chair (which is known as cruising) or on his or her own, you must have noticed that they transfer weight from one foot to another. Transferring weight means that the muscle of the feet is becoming stronger. It is still difficult to tell the exact time when a child is ready to walk but if you notice few signs of walking then you can encourage your child. Remember to never push your child but always encourage him. Maximum children take their first steps between 9 and 12 months and by 15 months they walk well. Walking is all about the coordination of muscles and if your child is not ready then don’t push him, wait and keep encouraging. The maximum you can wait is till 18 months. If by any chance child is not able to walk by then, you can visit a paediatric neurologist. Walking is a big first step for both parents and babies. It is difficult to judge whether your child is ready to walk or not. 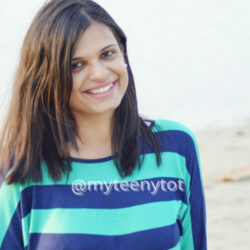 So here I am jotting down few signs which will make you realize that your little munchkin is ready to walk. If you find these signs, then I would ask you to inspire him more. 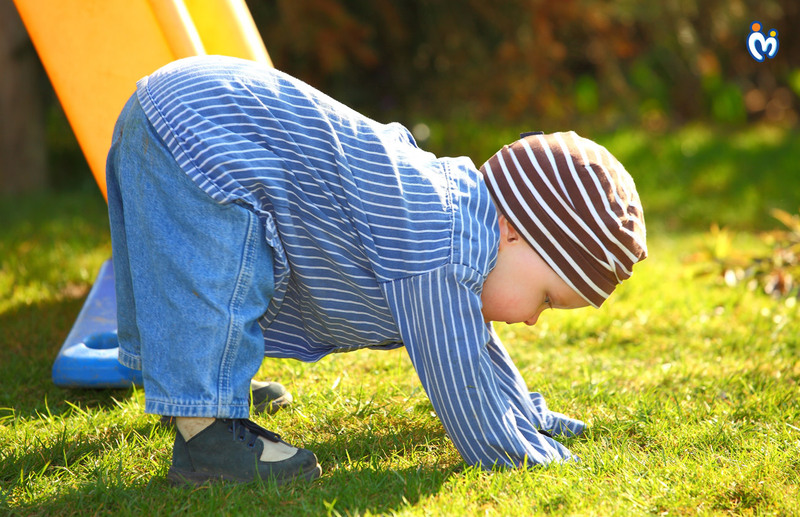 Crawling is your baby’s first way of getting around on his own. Initially, your baby will start by learning to balance on his hands and knees later he’ll try to move forward and backward. At the same time, he’ll be firming the muscles that will soon allow him to walk. 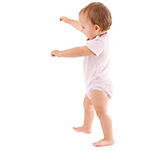 Many babies hint at us that they are ready to walk by pulling themselves into a standing position. This naturally happens after your baby has learned how to get into a sitting position. Your baby will hold onto the chair, table and different objects to stand up from a seated position. Your baby gains balance by holding furniture. You can help him take a few steps by holding him. This will surely help him with the next phase of his journey. Balance is an important part of walking. After support walk, your baby is now ready to stand without it. 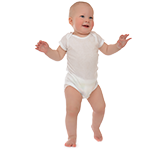 By this stage, the baby would be able to stand on his own for few seconds and is ready to take the first step. Milestone! The first step is a big moment for kids and parents both- welcome it with praises. Now the baby is ready to walk and explore the world. The moment – it takes lots of praise and efforts for your little one to walk on his own, but it’s worth the journey. Continue with your praises and encourage your child to walk. How can a parent help their baby while they take their first step? Don’t push your kids hard but let them walk at his own speed and own rate. Pushing hard may drop your kid’s confidence. Take your kids out for a walk and put toys in front of them under supervision. This will help them walk and may provide lots of opportunities for the same. 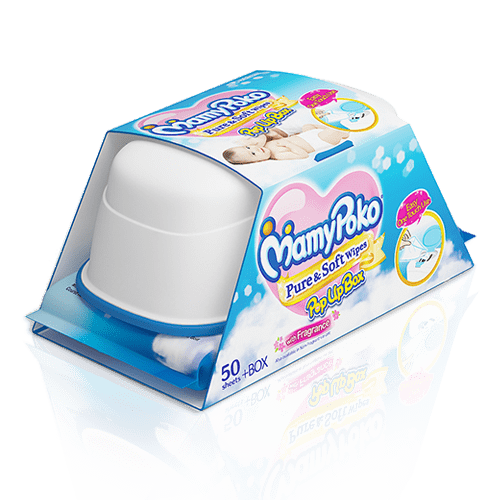 Your baby may fall and get lots of bumpies, there will be some time when baby wants to quit walking. 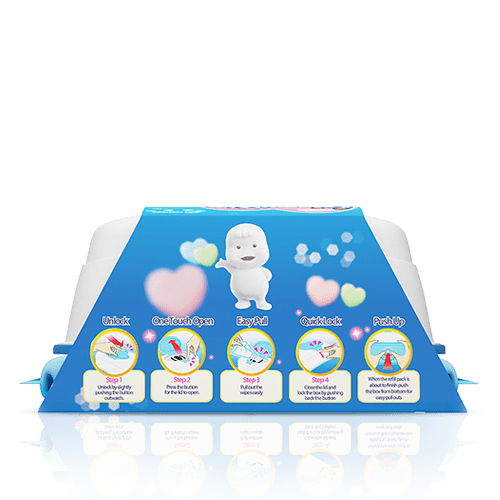 Manage your emotions and give lots of comfort to baby. Encourage him to try again. Ensure that your house is a safe place for your roaming toddler. Play lots of balancing games and encourage walking as much as possible. Between 6 -15 months your little baby goes from learning how to sit up to walking on his own. During this thrilling time, you can help baby gain self-assurance that he will be walking soon. Meanwhile, encourage your child with some good words and gestures. Walking needs plenty of praise and encouragement, keep up the spirit and boost your child’s confidence. Previous Teething Woes: How to Detect and Soothe the Pain?